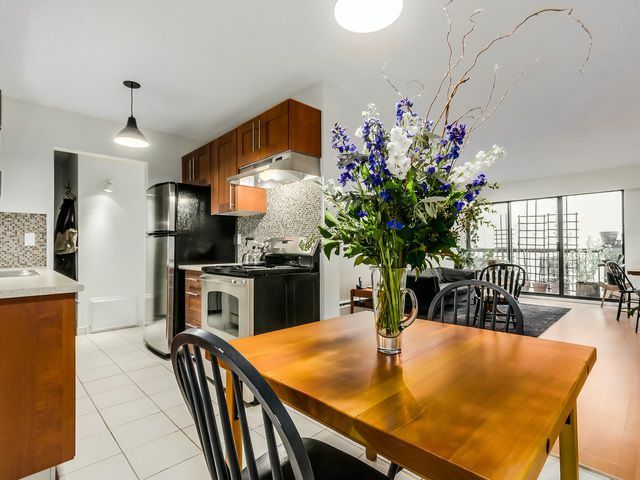 Welcome to hip SOMA, CENTRAL, CONVENIENT, yet tucked away on a PEACEFUL street surrounded by parks! TOP FLOOR, QUIET, nicely updated, spacious & private. Upgrades include cabinets, countertops, hardware, light fixtures, laminate/tile flooring, & S/S Appliances. Large DINING area flows into a large LIVING ROOM. Step out to your private balcony with NORTHSHORE MOUNTAIN views, BBQ and relax with a glass of wine. Location, lifestyle & dog friendly!